Let me start by setting the scene … Our friends Lesa and Ariella are the proud owners of Bryck and Mortar (a fabulous space in the Brentwood Town Center for local clothing, accessory, and lifestyle brands to pop up). 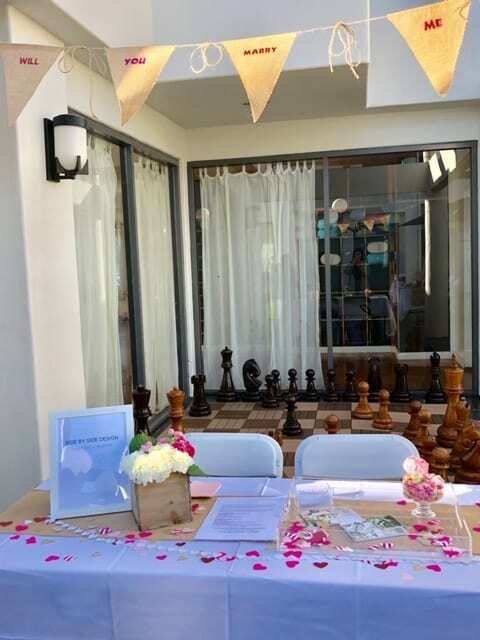 This was the perfect place to set up our event. 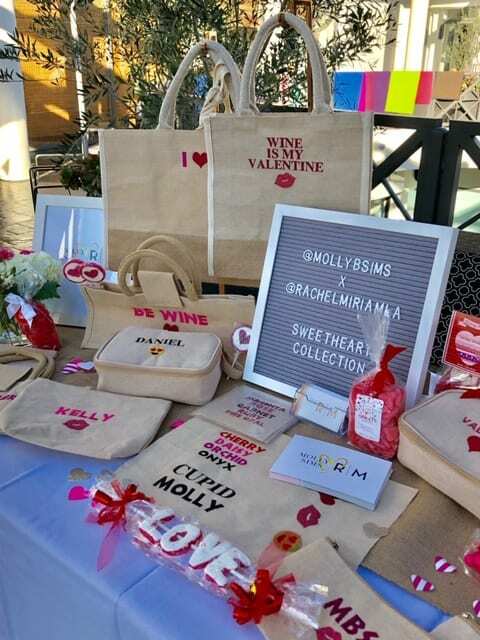 Another friend and fellow #momboss, Rachel of Rachel Miriam has recently designed a collection with Molly Sims (MollyxRM Sweetheart Collection) benefiting Baby2Baby, and wanted to create an opportunity for people to give a little love to children in need for Valentine’s Day! Where do we come in? 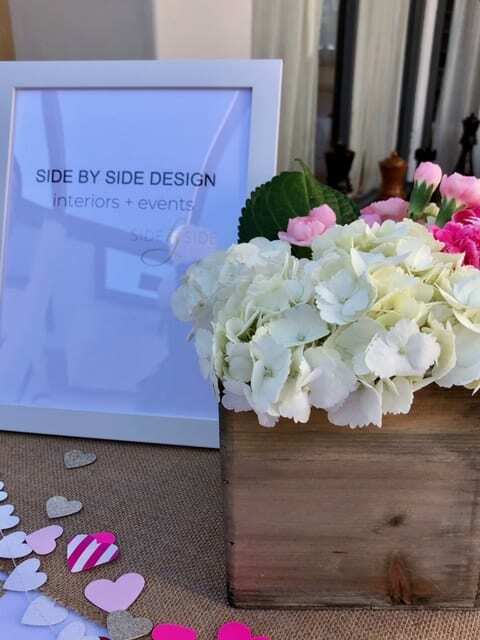 Decor and party planning, of course! It truly was an amazing day of people coming together for a great cause! The other shops in the Brentwood Town Center pulled out all the stops as well; bringing coffee and pastries (Thanks Le Pain!) for all of our guests to enjoy, providing discounts and freebies the day of, and overall just being awesome! Rachel and Molly put together a little activity for a big donation. 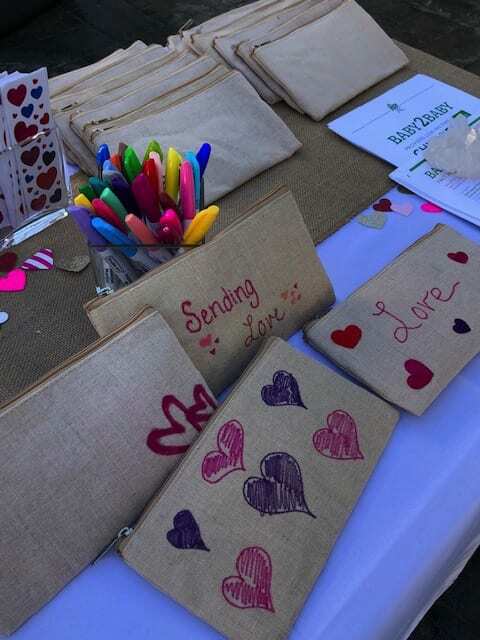 Guests were asked to decorate a bag and fill it with candy and stickers to give to a child in need. I L-O-V-E how they turned out and love even more that this was done for such a great cause! Do you love the MollyxRM Sweetheart Collection as much as we do!? 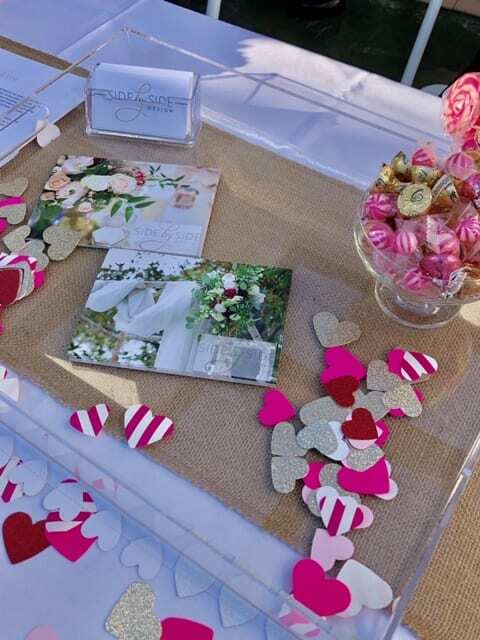 We set up their table in style with all kinds of heart decor and some fresh flowers. We also included a little set up for our own materials to share with the people of Brentwood what Side by Side Design is all about! 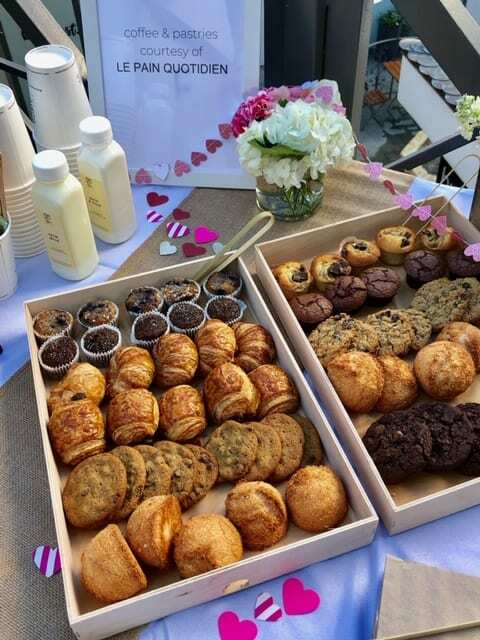 … and of course you can’t have a party without fresh flowers! 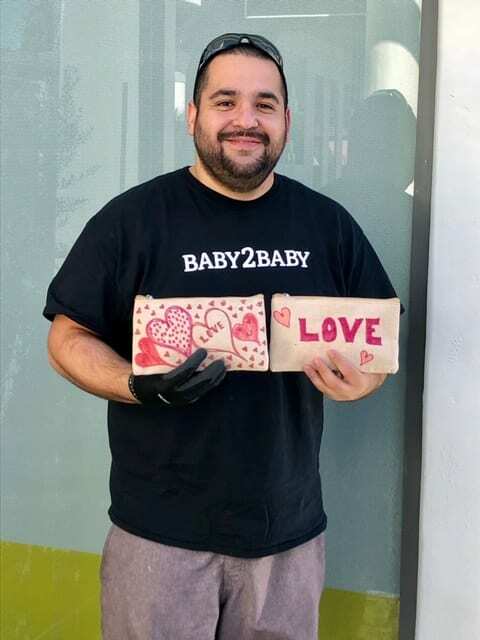 At the end of the day, we all got to enjoy handing over all of the decorated bags to a representative from Baby2Baby. What a success! 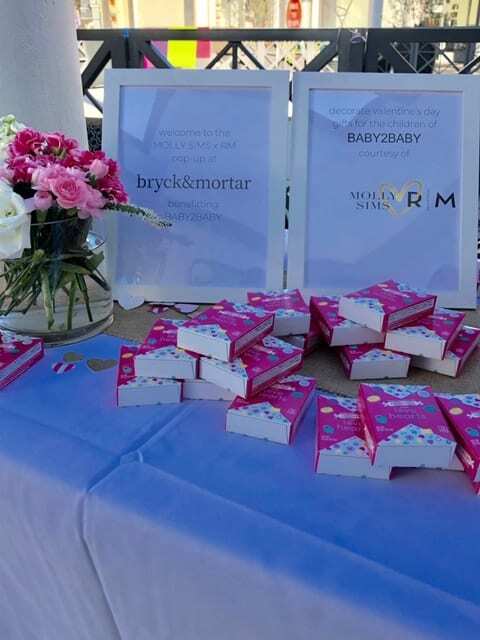 Thank you to all who participated in this special pop up event; @paige @cosbar @hpeactivewear @platefit @pressedjuicery @aziamyoga @birthstonescents @labellroseapparel @ladylaycollection @bluebottle @lepainquotidienusa and especially our girls Lesa and Ariella @bryckandmortar and Rachel @rachelmiriamla! 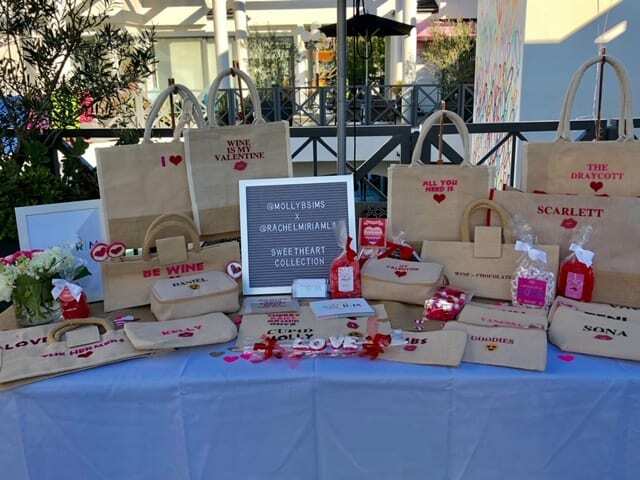 A special thank you to @mollybsims for providing us all an opportunity to collaborate with each other and craft for a cause!